There are many types of winter melon soup, especially the really fancy ones served at banquets. So, my version has changed over time. The special ingredient -- winter melon -- is an immunity boosting food in the home remedy soup world. The soup is great for keeping up your general health, reduce swelling and puffiness, and keep the fluid flowing. My mother-in-law grows winter melon in her garden in Los Angeles, and they are huge! Far bigger than a large watermelon. She got the seed from store bought melons and has an amazing green thumb. The melon has a white dusty looking skin, which appears to be frost, even though the growing season is in the summer. Found in Asian grocery stores and select backyard gardens. 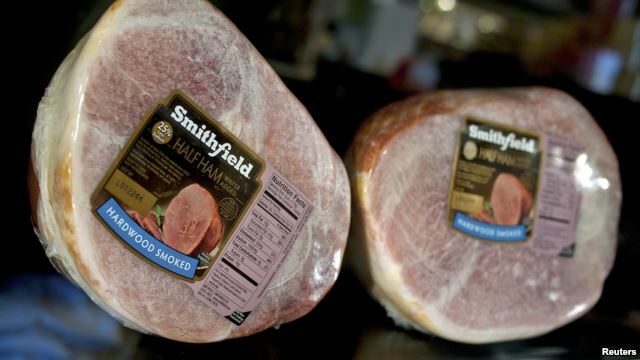 Virginia ham or country ham is a substitute for Chinese ham which is not sold in the US. The saltiness of the ham is great for soups. A little goes a long way to adding flavor to the soup. Tofu skins. You can find them dried too, but there's nothing like fresh. Winter melon slices, typically sold at the grocery store. Some of that winter melon growing the backyard at my mother-in-law's house. Blanch meat bones and whole chicken by putting them in a pot, immersing them in water, and bringing to a boil. Discard water and the impurities from the meat. Set aside. 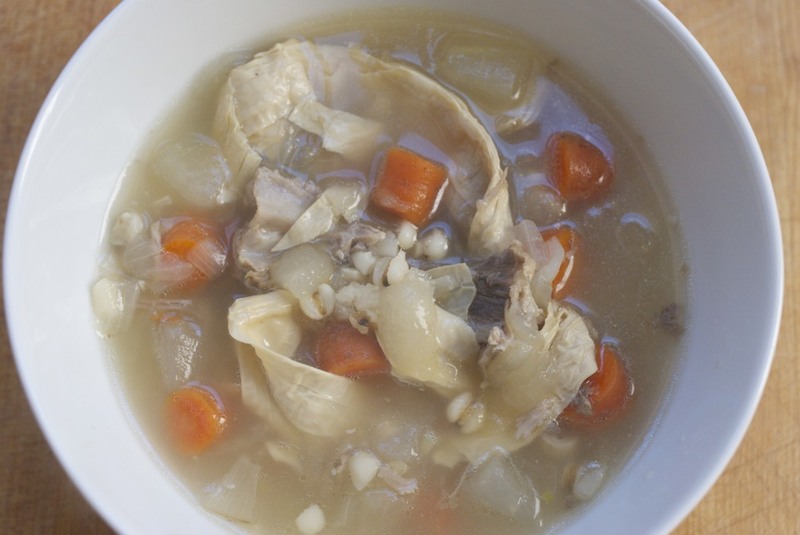 Take the whole chicken and carrots and place them in a cheesecloth sack for easy removal from the soup. In a pot combine the cheesecloth sack, onions, bones, ham, and water. Bring to a boil and simmer for 25-30 minutes or until the whole chicken is cook through. Remove the cheesecloth sack. Take the chicken and shock it with cold water. Remove the meat from the carcass and place the carcass in the stock to simmer with the rest of the ingredients for 5 hours. Yes, a long time! Take the carrots and set them aside. Hand shred the chicken meat by pulling it apart. Cover and set aside in the refrigerator. Strain the stock and bring to boil again. Add carrots, chicken meat, winter melon and tofu skin and bring it to a simmer for 10 minutes. Then remove from heat to prevent over-cooking the winter melon. Season the soup with white pepper, salt, and sesame oil. Serve hot!